With Christmas just around the corner, what better time to hatch a plan and get things underway for a more sparkly, celebratory and feel-good season? Take the stress out of the lead up to the big day by adding a whole lot of festive fun to the list. 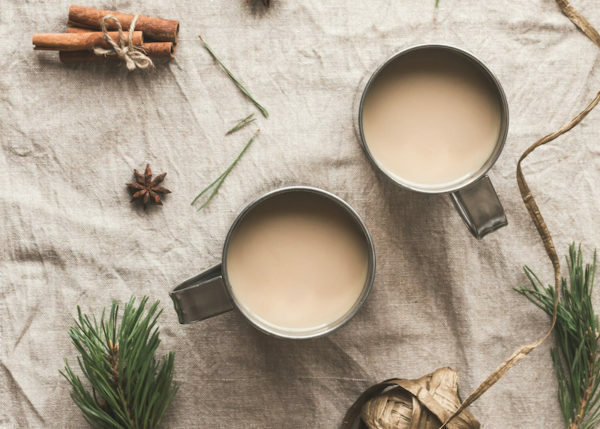 Here’s 12 traditions to embrace this year. Find time to treat yourself in the midst of all the bustle. Have a cheese and champagne dinner in front of a feel-good flick after the kids have gone to bed. Sneak out for cake and coffee all by yourself. Take a little bit of time out amidst the chaos and make a habit of it, if you can. It’s easy to fall pray to Perfect Person Syndrome in this Insta-ideal age. Go easy on yourself and avoid the perfection trap. Embrace anything that will make Christmas easier and more fun for you and your family. Remember, don’t compare your real life to someone else’s (festive, online) highlights reel. Don’t get so caught up in your to-dos that you forget to make time for fun times with pals. Factor friends into your festive prep. Maybe you can shop together for gifts? Maybe you can have a baking day to get your festive food underway? Perhaps you can wrap all your gifts together one cake-fueled afternoon? Join forces, see your friends and get things done at the same time! 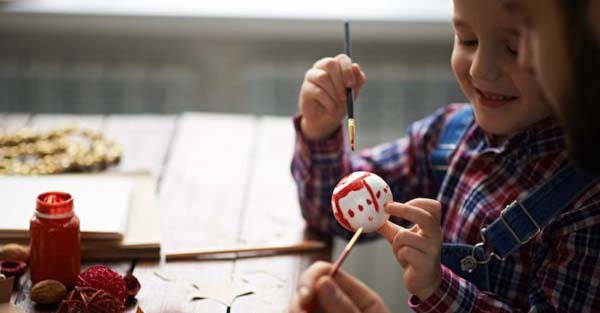 Make things more personal by letting your kids get involved in Christmas preparations. They could draw on rolls of blank paper to create bespoke wrapping paper, or glue pompoms to a polystyrene wreath to fancy up your front door. Get little hands involved and spread that Christmas feeling about. Fancy up your festive table with some special occasion tableware. Anything a bit sparkly or reindeery will do perfectly and probably make everything taste that little bit more delicious, too! Christmas is the perfect time for cheesy carols and bad dancing. Why not incorporate a bit of Motown in your playlist? Consider some Mad Men inspired classics, even? And don’t forget the ready-made Christmas mixtapes that Kinderling Kids Radio lovingly put together for families each year! You don’t have to stick to the usual script. Mix things up and make Christmas your own. Maybe this is the year you drag everyone down to the beach for a Christmas Eve swim? Or go to a midnight Christmas Eve service? Or make mulled wine? Or help at a soup kitchen on Christmas Day? Be that person. Put tinsel on your car. Wear reindeer antlers at work. Give gifts to the garbos. Hand out Christmas cupcakes in the lunch room. The world needs more cheer and there’s no better time to spread it about. Drop a Christmas cake off at your local aged-care home. Donate to a favourite charity. Contact your local animal shelter and see what their Christmas season needs might be. Drop gifts under a ‘giving tree’ or put some extra bits and pieces into the food collection box at your local shopping centre. Bedtime stories can be magical for families that celebrate Christmas. Invest in some special books to read at this time of year and end your child’s day with a snuggle and a seasonal story. This seems obvious, but sometimes we breathe a big sigh of relief just to get Christmas done and dusted. Have a think about ways that you can make this busy time of year less fraught and more enjoyable. Keep your eye out for special moments and snuggle your family a little closer, if you can.